Miracle Method Commercial Services - Commercial Refinishing, Repair, Resurfacing and Restoration. OLD, DAMAGED TILE & GROUT? Tile & grout – repaired, refinished, beautiful! Put us to work for you – Request a quote today! 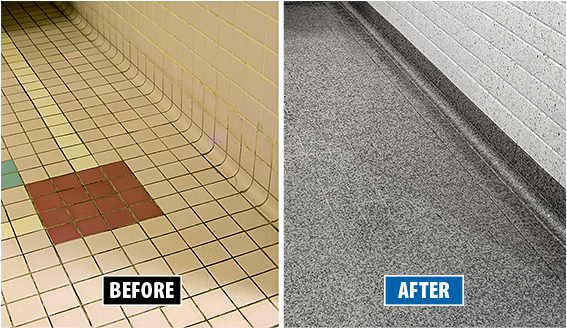 Complete Low VOC refinishing process that meets California requirements. If you have questions, we have answers. Call us at 888-741-3511. Slippery tubs, showers & floors? Our trained technicians will bond a granular non-slip texture onto existing bathroom surfaces to help make bathing safer. We provide affordable non-slip solutions for hotels, hospitals, schools, fitness centers and many other businesses – FAST. Take the first step to reducing liability in your facility. Put us to work for you. Request a quote today. 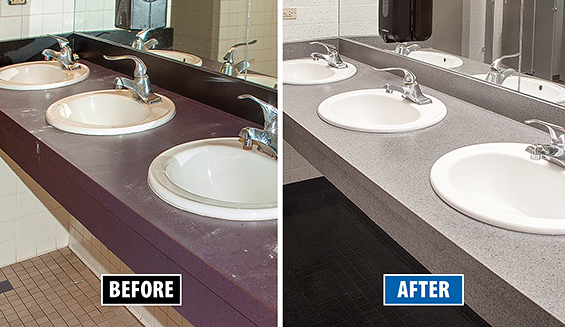 A Commercial Surface Refinishing expert is ready to help! Provide a little information, and we’ll be in touch within 1 business day to start your quote. These nationally-known brands and institutions trust Miracle Method. You can too. Call the Pros at Miracle Method. ©2019 Miracle Method US Corp. All rights reserved.